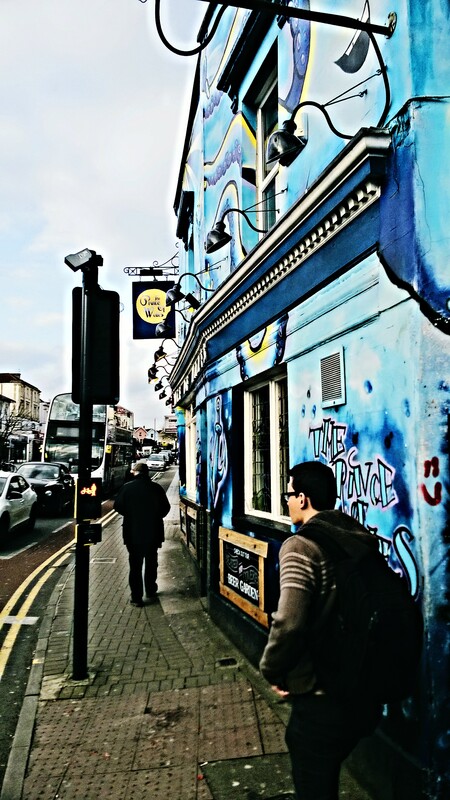 Prince of Wales is a local pub hiding traditional interior décor inside of its graffiti façade. It serves pub grub and has a range of ales and beer on tap at reasonable prices. Rob was seated with his partner at the Prince of Wales pub. 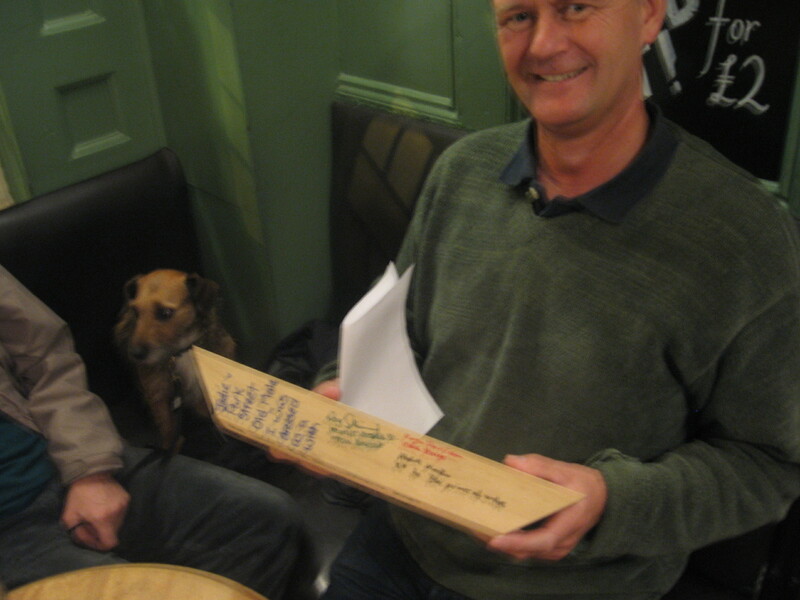 He provided the montage a grey, Jim Dunlop shark’s fin pick and designated (anyone at) The Bell, Jamaica Street to be pocket number 6.